LAS VEGAS, Nev. – Game time temperature hit triple digits for the second night in a row Saturday as the Sacramento River Cats dropped a 7-1 contest to the Las Vegas 51s. The 51s hit 4 home runs to overshadow the seventh homer of the season by Darren Ford as well as the Triple-A debut of left-hander Josh Osich. The Sacramento offense was not as hot as the 100-plus degree weather throughout the game. The lone big blow came in the fifth when Ford hit a screaming line drive that just barely cleared the 25-foot wall in the left field. The homer was Ford’s second this week, and seventh of the year. 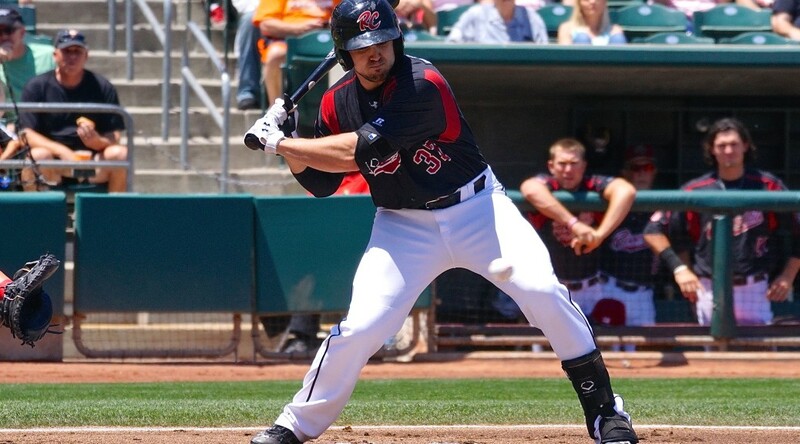 One of the newest members on the River Cats roster, Kelby Tomlinson, recorded his first career Triple-A base hit with a two out double in the fifth. Lefty Josh Osich – also added to the River Cats roster this week – made his Triple-A debut, pitching a scoreless inning of relief with 1 strikeout. Sacramento had a chance to narrow the score in the sixth when they loaded the bases with two outs, but a slow dribbler back to the pitcher’s mound ended the inning and any chance of a middle inning comeback. While the River Cats couldn’t find the big hit to put them back in the game, the 51s did as they hit 4 home runs – the most allowed by Sacramento this season – including two from former River Cat Anthony Recker. Ty Blach (5-8, 4.27) started out the game strong, retiring the first five batters he saw before allowing all of his runs in a five out period. The left-hander left the night after 5 innings, and allowed 5 runs on just 4 hits (2 home runs). Blach struck out 6 and walked just 1, the first walk he allowed in his last three starts. 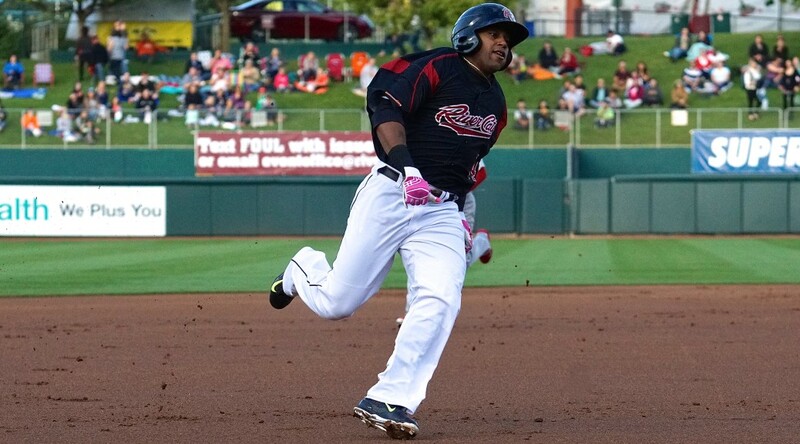 The River Cats finished the game with no errors for the fourth consecutive game Saturday. The streak matches the longest Sacramento has had this season (5/8-11 vs. Albuquerque). Left-hander Darin Gorski (5-6, 5.35) picked up the win, allowing just 1 run on 5 hits while walking 3 and striking out 4 in 5.2 innings of work. 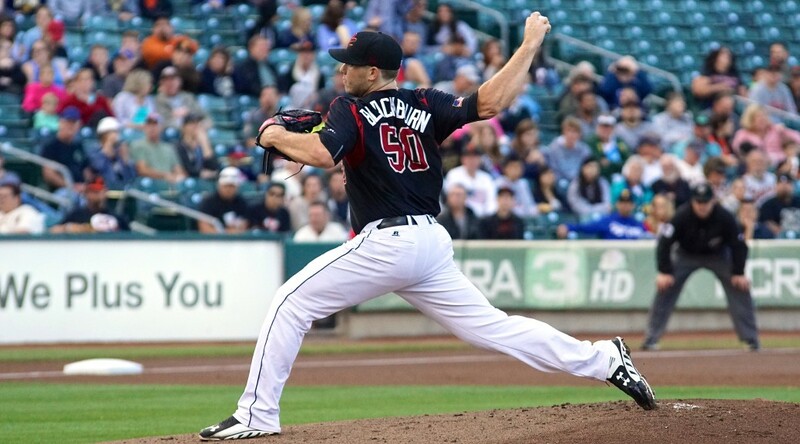 The River Cats are just 9-20 (.310) this season when facing a left-handed starting pitcher. The River Cats will look to avoid their eighth series loss of the year tomorrow when they send right-hander Chris Stratton (0-1, 2.33) to the mound. Stratton is coming off of a loss his last time out in which he only lasted 2 innings. The right-hander was San Francisco’s first round pick back in 2012. Opposing him will be righty Rainy Lara (0-0, 6.30) for Las Vegas. First pitch is scheduled for 12:05 p.m.